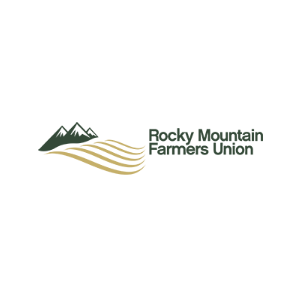 Rocky Mountain Farmers Union - CooperationWorks! The RMFU Cooperative & Economic Development Center was formed in 1995. During the past decade as an integral part of Rocky Mountain Farmers Union Educational and Charitable Foundation, the Co-op Center has worked with and facilitated the growth of over 80 cooperatives, LLCs, and other associations and partnerships across Colorado, New Mexico and Wyoming. Currently over 50% of those businesses are still in operation today. Highlights of this effort are the Colorado Farm and Art Market, Family Farmers Seed Cooperative, Organic Seed Alliance, Mountain States Lamb Cooperative, La Montanita Food Cooperative and the High Plains Food Cooperative. Currently the Co-op Center is focused in three primary areas: local food systems, renewable energy, and community development. Working with partners locally and around the region, the Co-op Center is building marketing relationships with consumers through direct markets, as well as farm-to-table and Buy Fresh Buy Local campaigns. These programs help local producers connect with a vibrant, sustainable market for their products. In renewable energy, the Co-op Center is assisting several producer and community groups with feasibility studies and business plans for community- and utility-scale wind, biomass, solar, small hydro and biodiesel projects. The subject of energy security and producing new revenue streams for farmers and rural communities is vital to the financial future of our members. To advance the cooperative model by fostering sustainable human and economic development in the Rocky Mountain West. The Co-op Center is an innovative and accessible resource upon which citizens and communities can draw for ideas, resources and support to create innovative cooperative solutions to pressing economic and social challenges. Education and outreach to rural residents and communities, to foster cooperative principles, techniques, and structure. The Co-op Center serves all rural areas of New Mexico, Colorado, and Wyoming, with a focus in those areas suffering severe economic stress, high unemployment, or high poverty. Colorado Renewable Resources Cooperative in Park County, Colorado, is seeking ways to process and market woody biomass. They will provide a renewable resource to consumers, decrease the risk of wildfire, and restore the health of the forest through responsible stewardship. Raw Milk Association of Colorado started in 2006 to promote safe, healthy practices and producer assistance through networking. High Plains Food Cooperative, begun in 2007, is an online farmers market seeking to provide front range consumers with locally produced food from producers along the High Plains. 26 Landowner Wind Associations have been established in 3 states with assistance from the Co-op Center since 2007. The LWAs involve more than 700 landowners and more than 2,000,000 acres of high-quality wind resource. They are currently marketing their wind resources to developers they will partner with. Mountain States Lamb Cooperative is based in Casper, Wyoming, and began in 2003. Mountain States is now the nation’s largest lamb producer. • Los Alamos Food Cooperative and Espanola Community Food Market in New Mexico are currently receiving technical services for the formation of a cooperative to serve the two communities. The center is assisting a group of citizens in Trinidad to form the Trinidad Energy Cooperative. These community members are interested in starting a self-serve member-only fuel station to provide a competitive fuel market in their community. The Colorado Farm and Art Market is a producer and artisan member-owned co-op that started in 2005. It has grown to three sites, two days a week. Buy Fresh Buy Local is a national marketing campaign promoting and supporting local agriculture economies through the purchase of local foods. The Co-op Center has the contract to coordinate the campaign in Colorado, New Mexico and Wyoming. Farm to Table is a workgroup of partner organizations with the common goal of supplying healthy, local foods to schools and institutions, including through the Farm-to-School program. Sunshine Dairy Cooperative is a start-up dairy goat cooperative to supply goat milk to the Prairie Sunshine Products Creamery, a start-up business in southeast Colorado. American Grassfed Association began in 2003, based in Kiowa, Colorado. The association protects and promotes grassfed producers and products through national communication, education, research and marketing efforts. The La Montanita Food Cooperative Distribution Center began in 2007 in northern New Mexico. The distribution cooperative provides transportation, economies of scale, and storage facilities for small producers associated with the successful La Montanita Food Co-op stores. Stateline Bean Cooperative, serving Wyoming, Nebraska, and Colorado, continues to operate since its startup in 1999. New Mexico Farmers Market Association began in 2000 and served as a model for the start of Wyoming Farmers Market Association in 2006. San Juan Basin Biodiesel Cooperative was started in 2005. Valley Organic Growers Association in Delta County, Colorado, began in 2005. Ogallala Commons provides leadership training and community development assistance to communities over the Ogallala Aquifer. It is a resource development network, offering leadership and education to reinvigorate the commonwealths that form the basis of all communities, both human and natural. Peak to Plains Alliance was formed to showcase some of the most notable locally owned food and agricultural businesses in El Paso County, Colorado. They include not only fresh food outlets but agritourism businesses.